'Cause he's a frog, see? Wanted to practice more DYNAMIC poses, and threw in some male anatomy 'cause I just couldn't help myself. Hah! Well, I have to say I'm pleasantly surprised to see someone of your stature comment on a sketch I did. I do appreciate it. 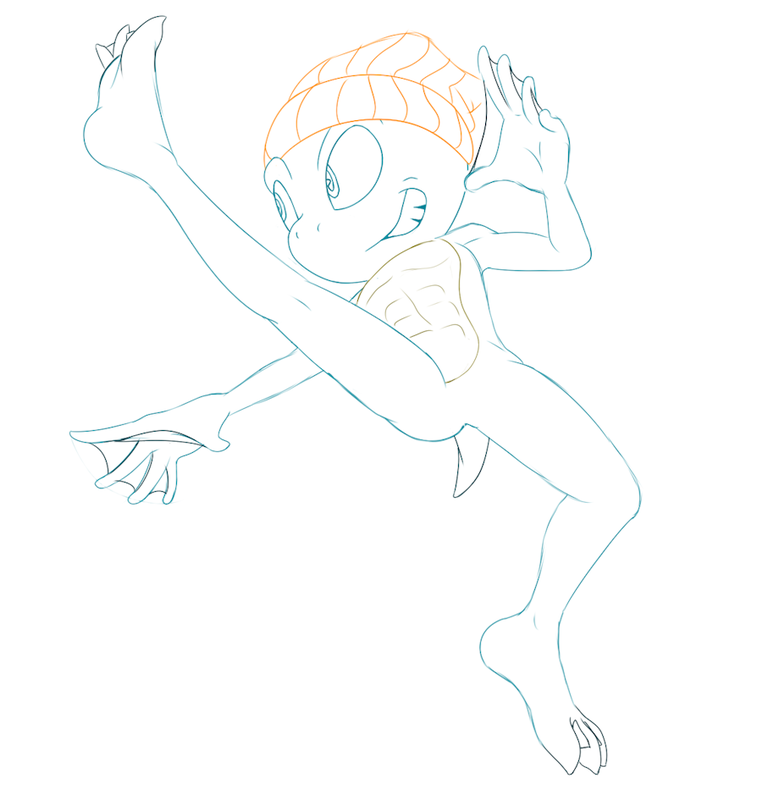 Indeed he is a frog, but I was trying to replicate a kick from Viewtiful Joe, believe it or not. Sketches needs some love too haha, for the pose I can see it, but you know. Anyways, it looks pretty neat, I always said some animal races are like imposible to make them fit on a Sonic type character, but demostrated that a frog can! Well thank you! I aim to put out more.